Fujifilm’s newest addition to the popular line of Instax cameras – Instax Mini 70. Mini 70 is the step-up model to the Mini 8 and offers a more advanced feature set, including, an updated camera design, improved picture quality, especially in dark scenes, new selfie mode with selfie mirror and a tripod socket. Designed to use Instax Mini style film. 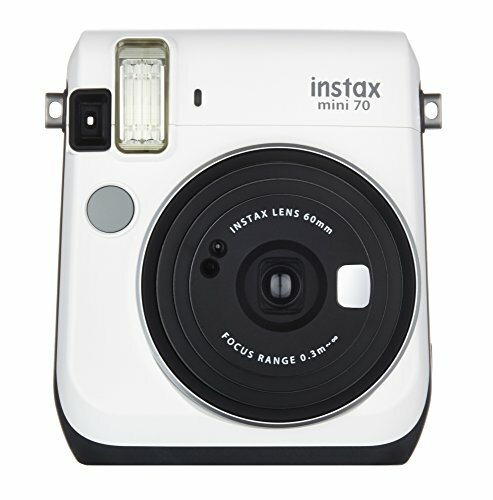 Fujifilm's newest addition to the popular line of Instax cameras - Instax Mini 70. Mini 70 is the step-up model to the Mini 8 and offers a more advanced feature set, including, an updated camera design, improved picture quality, especially in dark scenes, new selfie mode with selfie mirror and a tripod socket. Designed to use Instax Mini style film.